Medical neglect, lack of care, failure to provide necessities of life. Robin’s parents kept her in a locked room without a toilet or sufficient food. There, she starved to death. Perpetrator: Billy and Alice Appleby (Parents), reckless homicide, 5-20 years; Billy Ray Appleby II (Brother), tampering with evidence, 0-5 years. Disability: Brain injury from meningitis, causing blindness and deafness. While her siblings lived in the rest of the house, little Fiona was shut up in a room and forgotten, denied care, medical attention, and even food and water. She died of starvation. Perpetrator: Mary Mitchell (Mother), pleaded no contest to criminally negligent homicide; two-year suspended sentence. Carrie’s mother starved her, often punishing her by forcing her to watch the family eat while Carrie went hungry. She died of pneumonia, her 65-pound body unable to fight the infection. Perpetrator: Urselyne Day (Adoptive mother), charged with involuntary manslaughter. Anginetta’s mother starved her to death. 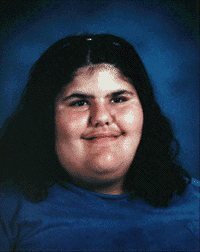 Perpetrator: Bessie Marie Clayton (Mother); convicted of “depraved heart” murder; sentenced to life. Source: Bessie Marie CLAYTON, v. STATE of Mississippi. Cause of death: Medical neglect and abuse. Katonya’s mother was in a cult called the House of Prayer, and gave her and her brother to the pastor of the church to care for. Katonya had seizures, which the pastor took to mean that she had the devil in her; so she starved and beat Katonya and refused to give her her epilepsy medication. Katonya died, covered in bruises, from untreated epilepsy. Perpetrator: Lea Vera Jackson (Mother), arrested but released; Anna Young (House of Prayer pastor), never arrested. Anna Young was later convicted of child abuse and served six months. In 2017, she was charged with first-degree murder of another child. Survivors ask: Why did cult misdeeds go by ‘wayside’? 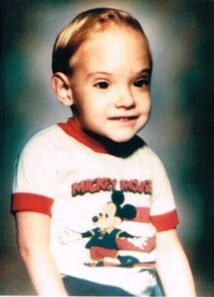 Steven was born with spina bifida, but his parents didn’t take him to see a doctor because they didn’t believe in doctors. He didn’t get a wheelchair and had to drag himself around on his forearms instead. Steven died of untreated pneumonia shortly before his third birthday. Perpetrator: William Hughes (Father) and his mother, no crime because denying children medical treatment on religious grounds is legal in Idaho. Name: “Baby Doe”, Anonymous Male. Age at death: 6 days. Cause of death: Fatal Medical Neglect. Baby Doe was born with Down syndrome and an esophageal atresia, which untreated would result in death, but could be treated surgically with a 90% success rate. Advised by their doctor that the baby would have an intellectual disability, Baby Doe’s parents decided not to proceed with surgery. The hospital staff tried to have the court appoint a guardian for Baby Doe, to override the parents’ decision; but the court denied them. Baby Doe died six days later of starvation and pneumonia from aspirated stomach acid. Perpetrator: Parents; Walter Owens (Doctor). No crime.